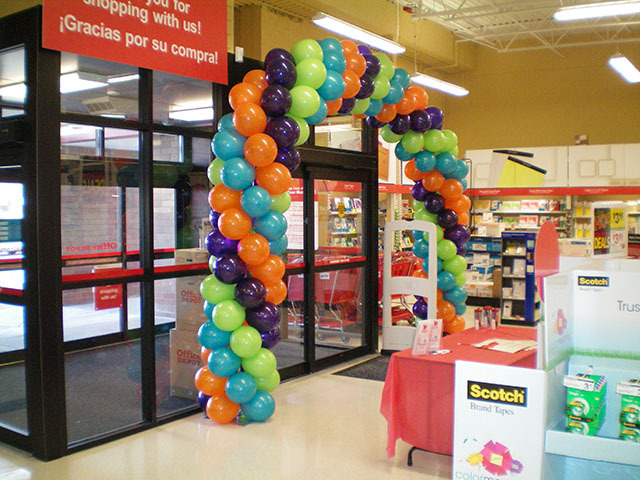 Grand openings are fantastic with balloon arches! Whether you are needing them to last a day or several weeks, we can accommodate your needs. The first picture is in front of a Macy’s Grand Opening. Using their colors and adding red mylar stars on top draws the themes together. The second is a Grand Opening of an Office Depot. They needed the arch to last several weeks. We used an internal framework and no helium in the balloons. 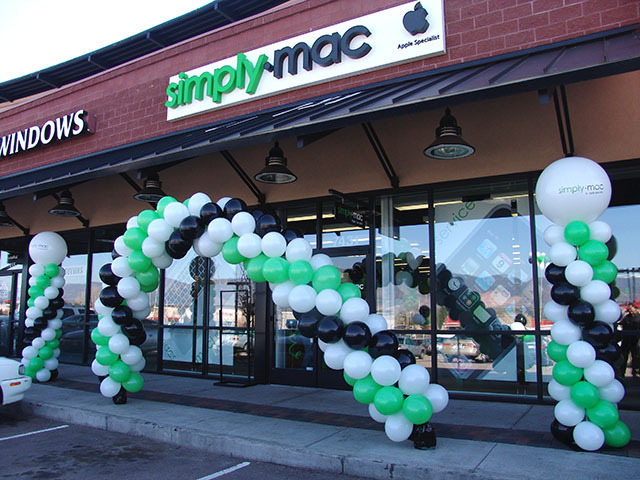 The final picture illustrates a Simply Mac Grand Opening using a balloon arch and balloon columns that were branded using three color vinyl. 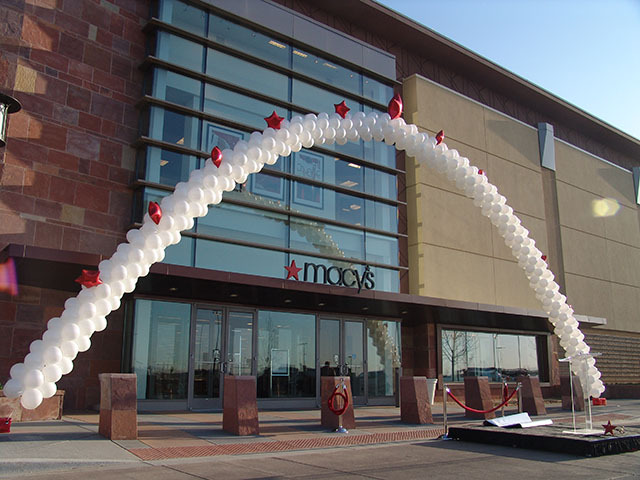 This entry was posted in Uncategorized and tagged balloon, balloon arch, balloon column, balloon columns, colorado springs, denver, grand opening, grand opening balloon arch by foulball. Bookmark the permalink.